Microsoft already released directx10 but only for WindowsVISTA since DirectX10 is built from ground up, on a totally different architecture. They started with a clean slate which means that more than half of the games and applications you used to run under XP with good old DirectX9 simply don’t work anymore with DirectX10 installed. 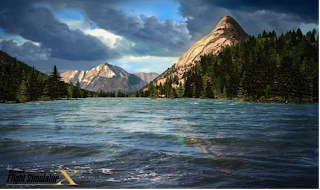 Directx is a collective name for a programming interface, Direct3D, Direct Draw, DirectSound etc, and is used to handle tasks in multimedia applications. Mainly used with video games, basically how well a video game looks. If you want to fully utilize the power of directx10...you need to buy a new graphic card that support directx10 (as far as i know Nvidia 8800 series/ATI Radeon HD 2900 XT or higher) and obviously, you also need to buy a new OS "windowsVISTA" if your still using windowsXP. Oh and by the way...buy new games and applications that already support/utilize directx10. Sounds like we're going to spend a lot of cash just to catch up with directx10. If you have windowsXP it stops at DirectX9.0c. 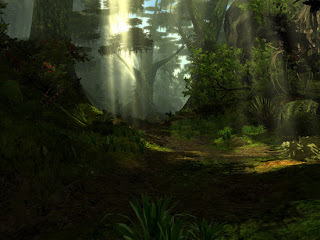 DirectX10 is NOT backwards compatible as they claim at Microsoft. People call it "artificially" backwards compatible which means it will only "emulate" DirectX9, but that’s not the real step back since it’s built on a totally different architecture. It will take years for most gamers to catch up and take advantage of DirectX10 since Microsoft excluded XP and Xbox360. Bad move for their marketing strategy and I hope Microsoft will realize that they needs to work on the backward compatibility issue since its a big deal especially with end-users. 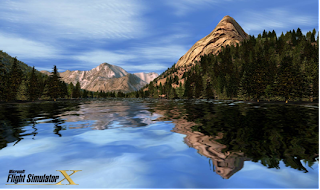 There is an on-going project for DirectX10 to run on WindowsXP which is called ALKY PROJECT by an independent group. Its already on ALPHA version and it is said to be working for some users. So if this group pull this one out for XP, then we can use those money to upgrade videocard instead of buying a new Operating System...hahaha! About DirectX11, Microsoft will release it for Windows7...hopefully this one will have better review when it comes to backward compatibility. 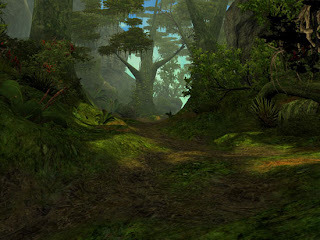 For more info about DirectX11, click here. This software helps me to organize my audio files in a fast and easy way...if you want to know more about Advance WMA workshop, click here. I usually tweaks or adjust my windows settings together with virtual paging file to boost the performance of my PC. I prefer to use a fast and simple look on my operating system rather than having an eye-candy settings but suffers in loading and performance. Here are some TIPS and basic TWEAKS to maximize the performance of your PC. -----you'll notice that "LET WINDOWS CHOOSE WHAT'S BEST FOR MY COMPUTER" is selected and all the BOXES below is checked, now select the "ADJUST FOR BEST PERFORMANCE" instead and notice that all the BOXES below is now unchecked. -----then check this 3 boxes only..."USE A BACKGROUND IMAGE FOR EACH FOLDER TYPE", "USE COMMON TASKS IN FOLDERS", and "USE DROP SHADOWS FOR ICON LABELS ON THE DESKTOP"...now click the APPLY button (your windows will now look like windows98). This setting will help decrease the loading time. by default, SYSTEM MANAGE SIZE is selected...but the thing is, the default size is not enough to launch large applications/games so it means that the smaller your system VIRTUAL MEMORY is the more often your system needs to refresh that space just to compensate the required virtual file needed for the aplication/games being launch or used...which eat-up performance of course. So I prefer this VIRTUAL MEMORY to be large. -----select the CUSTOM SIZE then set the INITIAL & MAXIMUM SIZE between 3500 (MB) to 5000 (MB), usually I set mine to 4000 (MB)... well it depends on how much size you can spare for this. -----As much as possible, just maintain minimal programs running on the system tray (active/running programs beside the clock)... since most of the time, programs automatically add icons on the system tray as you install them (apps like: winamp, winzip, nero, bearshare, limewire). Removing them on the system tray does'nt mean you're uninstalling it, you're just removing those icon to keep the apps/programs inactive while not in use. This will decrease loading time as well. Check each program's setting on how to disable it OR you can use REGEDIT command if your familiar with it. Fragmentation is usually caused when an operating system breaks a file into pieces because there is not enough space on the storage device where the file was originally saved. One example of this would be where a file was originally saved, then modified causing the file to be larger in physical space than first anticipated, the operating system will then break the file into 2 or more pieces and store them in different parts of the storage area. The system would then keep arecord of where the different parts of the file are stored, this is achieved through the use of a File Allocation Table (FAT) or similar file system such as NTFS. Then, when the operating system requires the file again, it will query the file system (FAT/NTFS/ or other) to find out where the different parts of the file are located on the partition (drive). Defragmentation is the term given to the process of scanning the file system and rejoining the split files back into consecutive pieces. The process of defragmenting can be time consuming, but it is one of the easiest ways to increase the performance of your PC, the frequency of which a PC should be defragmented will directly depend on the amount of usage. I tried using PARAGON Hard Disk Manager 2009 for defragmenting and it works great. Result is way better than using default Windows Defragmenter. If you want to know more about this software, click here. Some of us take this for granted and say "its just temporary files"... WRONG. We should realize that Temporary Files dont just eat-up space on our hard drives, it also increase the loading time of a computer. Go to this directories and delete all the files on it... don't worry, all the files on it is temporary files and you can delete it with no harm. As you delete all the files, Windows will sometimes prompt you that "file name" is currently in use and cannot be deleted. Skip the mentioned file and continue removing all the remaining temporary files. 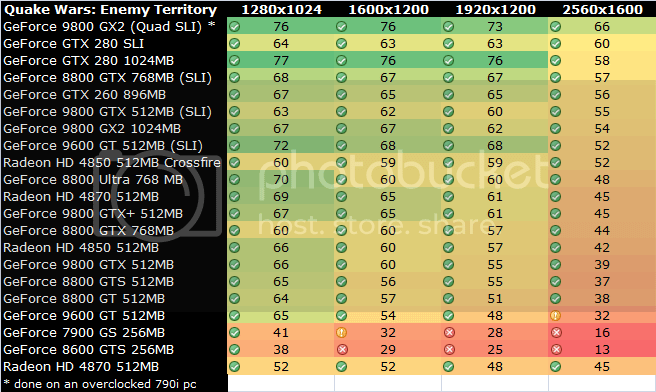 What games & image quality can my VideoCard Play? VII. What games & resolutions/image quality can my Video Card Play? This compilation was done by Guru3d.com and i thought it best to add it under the request of other members. :) Note that only recent cards are included and please do not request for other cards/games from me since i wasn't the one who compiled this. 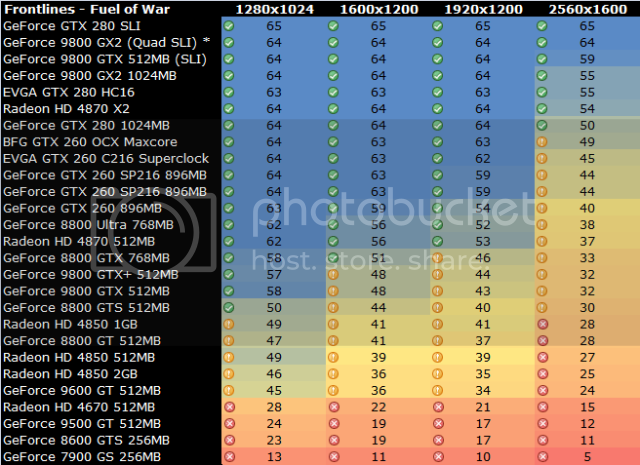 * If you want to purchase a certain graphics card, yet do not know how well a certain game will perform at 1280x1024. You just check the card versus resolution and look at the color coding or pictogram for your answer. * You want to play F.e.a.r at a decent framerate at 1600x1200. What would be the cheapest card for that ? Just look up F.e.a.r. 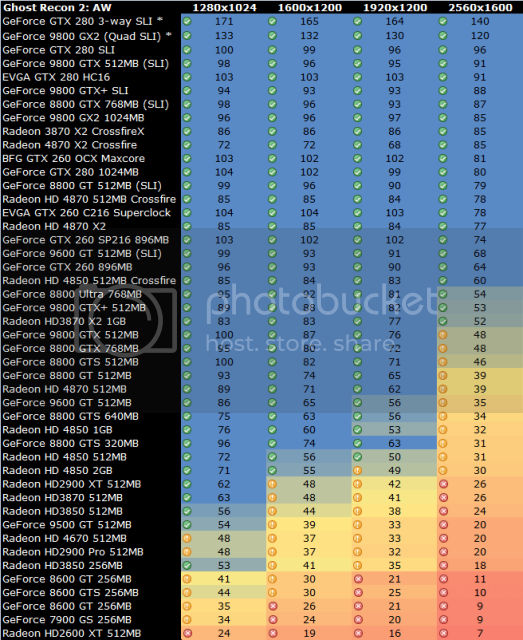 versus 1600x1200 and observe where performance is acceptable enough for you. This is gonna be long... First UP!! * Soft Particles disabled (as it's not supported by the Radeon HD cards). 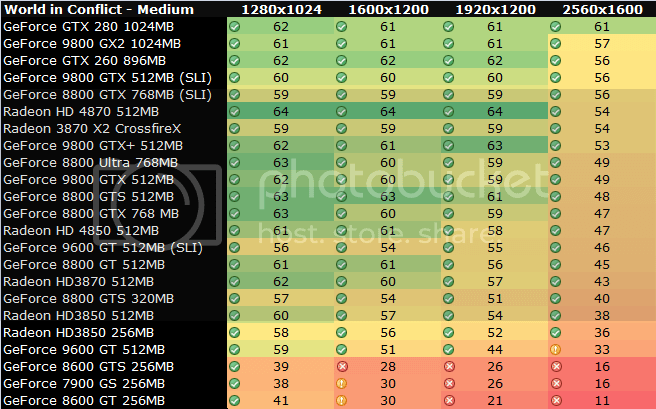 I know a lot of you guys are lost when it comes to videocard specifications. I found this on tipidpc... just want to share this guide/referrence with you, enjoy! Radeon 7000 = really really really old. did i say it's really old? Radeon 9200/9250 = DirectX 8 pa to. X700/9550SE/9550ULTRA/9550pro = very slow and very old. Unless the most graphically intensive game you're gonna play is DOTA, avoid. 9700Pro/9800Pro/9800XT - A 7300GTDDR3 will beat the crap out of these old school "monsters"
X1300pro = Being similarly priced as its bigger X1600 bretheren, and bested by its Nvidia competitor the 7300GT, this overpriced card is not a good deal. Geforce 2 MX400/Geforce 4 MX4000/MX440 etc.. = old outdated technology and sometimes overpriced. AVOID at all costs. Geforce4 MX440 is just a Geforce 2 MX400 on steroids. Don't be deceived. Geforce 4 Ti4200/4400/4600/4800 = Once king of the hill 5 years ago is no longer an option to buy..Even for second hand. Geforce 6600 series = these older gen cards should have died along with its 5 series predecessors. If you really need to have one of these, make sure to stay away from the "LE" ones. Geforce 7600 512mb DDR2 = This is marketing at its best, giving people delusions of greater speed with 512megs of memory. But the truth is, the 7600 128bit architecture won't be able to fully use this to its advantage, making it just the same speed with the 256mb version. Get that instead. X300/X550/X700/X700Pro = very old and very slow. period. X1300hi mem/X1300 = also old and slow. X1550 = this is an X1300 on steroids. X1650XT = Now that the affordable 8500/8600 series has come, i dont see any reason to buy this. X800GTO/X800GT - SM2.0 lang, getting old narin because it's twice more expensive and just a bit faster (the GTO) than a 7300GT ddr3.. the X800GT is even slower. X1900XTX / X1950XTX = Yup the HD4850 is twice faster and will eat this alive. not worth any more than 3.5k second hand. HD2900 XT = Power hungry, and needs a big *ss power supply. It's performance is also not too inspiring. I'd get the HD4830 or the 9800GT, both of which are faster and cheaper....and consume less power. HD2400 and HD2600 = No. Just no. 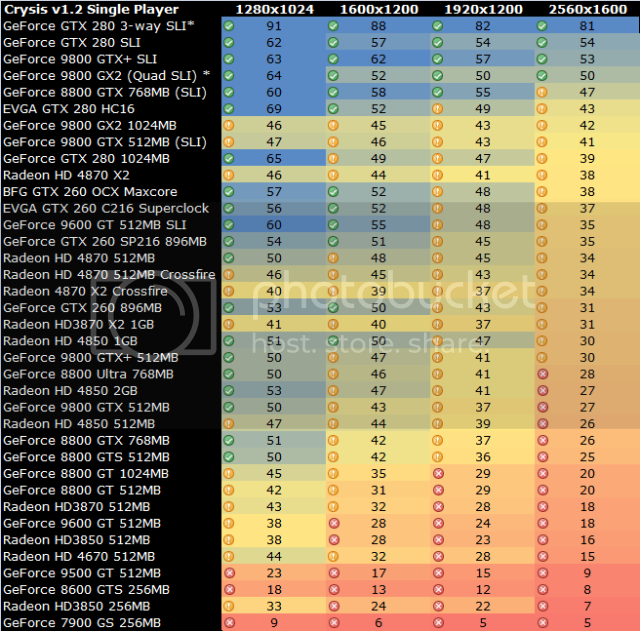 HD3450 and 3650 DDR2 version = The 3450 is simply pathetic. The 3650 however shows it can be faster than an 8600GT given that it has gDDR3 memory. So avoid the DDR2 version. HD3850 = Unless you can source one for around 3k, then this card would be overpriced. HD3870 gDDR3/gDDR4 The 4670 and the 4830 have now replaced this card, and should be priced no more than 4k brand new or second hand. HD4870X2 = OH YES. As of March 12, the 4870X2 remains equally priced to the GTX295 (locally) even if the GTX295 beats it hands down. This does not help the fact that the X2 is still being plagued by poor driver support in some games. So unless prices come down to around 21k, avoid. Geforce 6200/6500/6600LE = They shouldn't be selling these anymore! Geforce 6600/6600OC/6600GT/6800XT = these were once the best performing cards for their price, but the 9500gt ddr3 now trumps all these for only 2.8k!!! Geforce 6800/6800GT/6800ULTRA = The fastest of the 6 series back then is now 4 generations old... don't buy these unless given at a low 2nd hand price(<2k)>Geforce 7100GS = oooh you can SLI this thing! but who cares? unless you need a simple GPU then stay away from this! Geforce 7300LE = Again, the 9500GT is here. 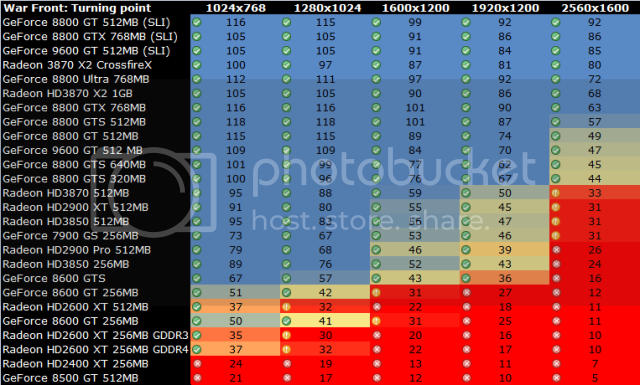 Geforce 7600GS = DX10 has come and so has the 8500GT/8600GT/and 8600GTS which will replace the 7600GS/7600GS(T)DDR3/7600GT! The 8500GT will be the wiser choice vs. the 7600GS ddr2. It has roughly the same performance but is future-proofed by DX10, is cheaper, and supports all new G86 features like accelerated H.264 decode. Geforce 7600GT = Almost all Geforce 7 series cards have now been put into the avoid list since the 8 and 9 and GTX series has come out, and despite the 7600GT's replacement the 8600GTS not quite living up to it's name. Geforce 7900GS = Unless priced under 3k, the 8600GTS would be faster, but then again, you should avoid that card too. Geforce 8600GT gDDR3 = The advent of the newer and faster 9500GT(but not much faster) costing cheaper than this is enough to make you stay away. Geforce 8600GTS = Honestly, i was very disappointed with its performance, slotting in between the 7900GS and the X1950Pro. I was expecting more performance (7900GT levels) just like the 6600GT and 7600GT did when they came out. (6600GT faster than 5950XT ; 7600GT faster than 6800ultra). Stay away from this. Geforce 8800GTS 320mb AND 640mb = with the release of the 8800GT 512 and the 8800GTS 512mb, these two cards suddenly became obsolete. don't buy unless offered 2nd hand under 4k. The 9600GT costing 4.5-5.5k is even faster than these. Geforce 8800GTS 512mb = This is debatable... The 9800GTX is dropping its price to around 9-10k, so old stock of the 8800GTS will sell for 11k. That's the only reason this should be avoided, if ever. Geforce 8800GTX 768mb AND 8800ULTRA 768mb = These older model G80 chips are phased out and for its performance should cost around 7-9k second hand, with the Ultra costing around 10k. 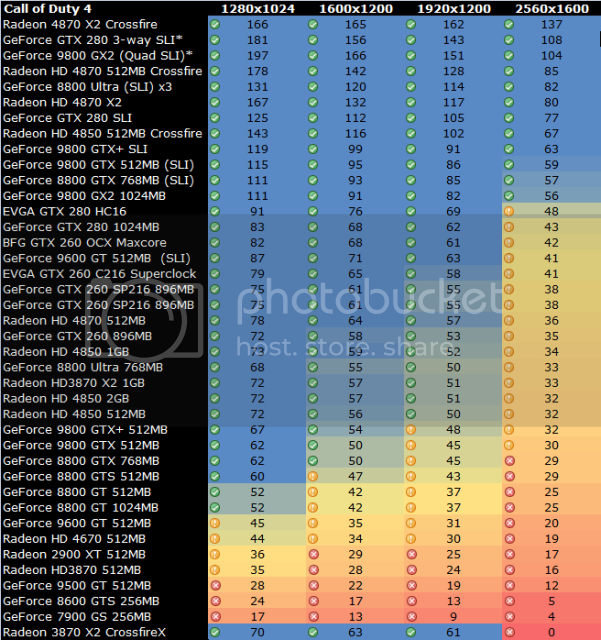 Geforce 9400GT (all variants) = unless you really need that 500, I'd suggest using that and get the 9500GT (256mb gDDR3) instead and experience a 50% increase in performance. The 9400GT is no more than a rebadged 8500GT. 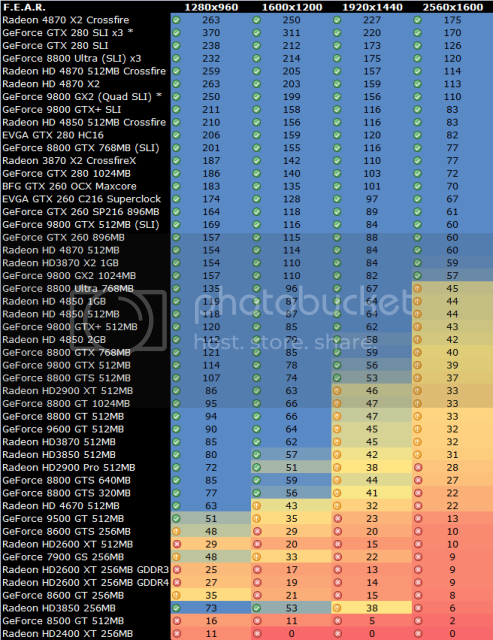 Geforce 9500GT 512/1gb & DDR2 = the best performing 9500GT (and the cheapest) is the 256mb gDDR3 version as well. Geforce 9800GTX/GTX+ = As of March 12, These 2 cards have already been replaced/rebranded as the GTS250 which comes in at a very affordable php7,500. While the GTS250 is essentially a rebranded 9800GTX+, which is a smaller die 9800GTX, which is a rebranded 8800GTS 512, avoid the GTX/GTX+ unless you can have them for 7500 or less brand new. Geforce GTX 260 896mb = This is the non-core 216 version, and of course the older 65nm fab. Avoid this card if priced above 11k brand new or second hand. "Feel free to add more cards and comment on my post :) Obviously its not perfect :) "
Multi Core gaming is now becoming mainstream. Whereas SLI and Crossfire before is reserved for enthusiasts, mainstream consumers are realizing the potential that SLI and Crossfire wields. 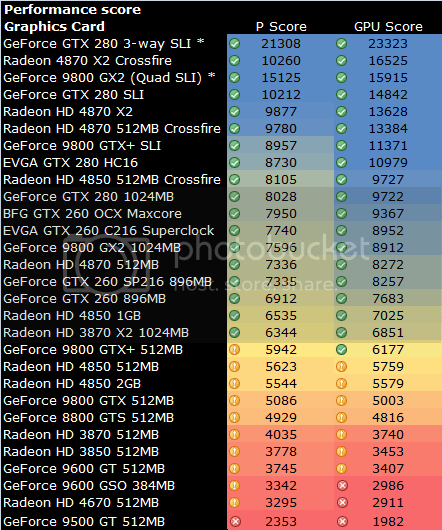 Crossfire and SLI performance scaling has also been improving with each generation of video cards and each release of drivers. Years ago, you'd have to spend 50+k on a single 7950GX2 dual core video card. Now, you can get two 9800GX2's with less money, or beat the monstrous GTX280 with two HD4870's!. The GT200 chip of Nvidia and RV770 chip of AMD has definitely made things more interesting. Nvidia now holds the fastest single and dual chip graphics cards in the world (GTX280 & GTX295), while ATI is holding on to the best value for money cards right now. - HD4850X2 still has no pricing here. 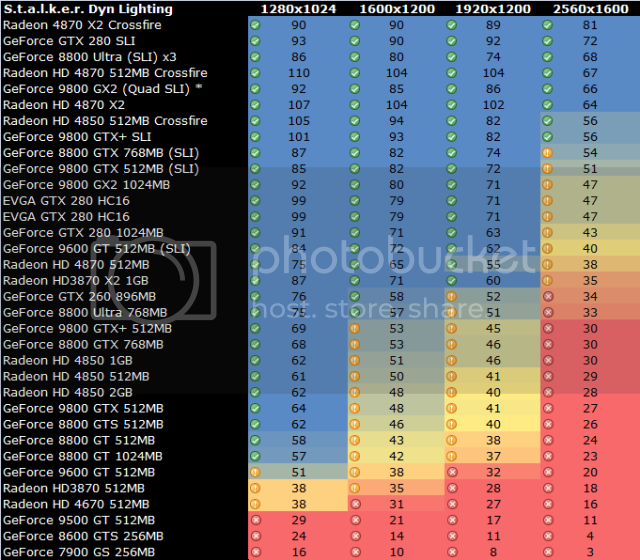 - The GTX260 has finally dropped its prices locally to compete with the 4870! The GTX260 is faster than the 4870 with AA enabled, while the 4870 is faster w/o AA, but overall, the GTX260 is now faster due to newer drivers. Get the Core 216 version. It's faster than the 4870 1gb. AVOID and do not be fooled by cards with DDR2 (as much as possible, get cards equipped with at least gDDR3), lowend cards with 512mb RAM, or midrange cards with 1gb of ram. -they are arranged according to price, BUT NOT ACCORDING TO PERFORMANCE/SPEED. 1. See how the most expensive card with 1Gb is not the fastest? 2. 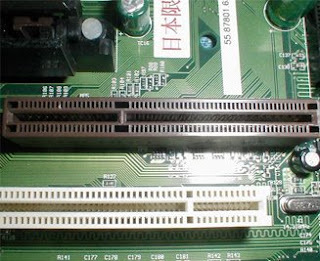 See how the 8600GT with 512mb DDR2 is slower than it's 256mb gDDR3 counterpart? What is the maximum amount of memory for my Video Card without wasting money? Since there are a lot of new versions of cards coming out with varying amounts of memory, many of which make it more confusing for the consumer which one is the faster and better buy, I have come up with a simple guide on what is the optimal amount of RAM a particular GPU can fully utilize. This is so that buyers may become aware of products that offer tons of RAM, but in reality are not really that much faster with a similar GPU with half the RAM. THIS IS APPLICABLE TO MOST, BUT NOT ALL SITUATIONS. For AGP, it is getting harder and harder to find good value cards as this is soon becoming a legacy interface. Good luck in finding Geforce 8 Series or ATI HD cards for AGP. The most abundant offerings are the geforce 7s. The 7300gt ddr2 is just as fast as the 6600gt, sometimes faster, but the 7300 is cheaper. The 7600gs is just a bit slower than the older 6800gt so any of the two is fine HOWEVER, ATI seems to have captured the highend AGP market with the X1650XT and the X1950Pro. Nvidia only has the older 7800GS and the rare 7600GT to compete with it. Both of which are like needles to be found in this massive haystack market. There is an HD3850 for AGP systems... good luck finding that as well. 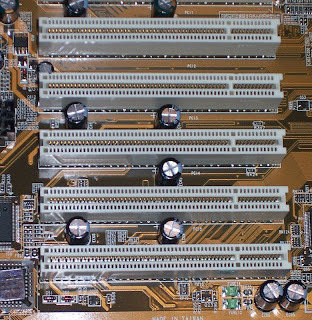 What's more, AGP cards offer a high premium since demand is low. So you get much much less performance for your money. 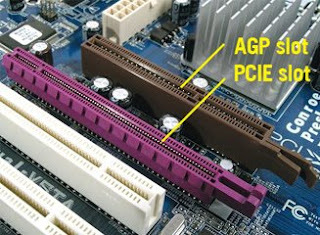 Better skip the AGP upgrade and save up for a PCI-E system. If you're still using PCI interface, chances are your processor is old as well.. skip the video card upgrade for there are no good ones and buy a new processor and mobo :) some onboard videos on mobos offer decent (bare minimum) gaming performance like ATI's HD3200 chipset, Intel's GMA X4500 (offering DX10) or nVidia's Geforce 9200/9300. Avoid Intel GMA/Extreme Graphics/S3 etc if you plan to play games using onboard video. Onboard video is temporary fix only until one gets enough money to buy a more decent solution. For a temporary solution, ATI currently offers the fastest onboard graphics with its HD3200/3400 780/790 chipsets. But don't expect high quality gaming with those..
about latest technology, software and games. TECHNOlogy, multiMEDIA software / application and WORX or news related to it. If you have something in mind to add on a topic, feel free to post a comment...enjoy.